Here is a situation which you may be able to relate with. Jack is the owner of a small floral delivery company in the heart of his downtown neighborhood. 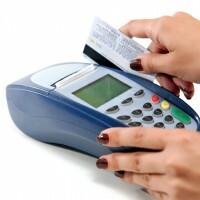 He recently subscribed for a merchant account so he could take credit cards as payment. He soon found it was a great decision since his sales went up by 33% in just two weeks. But soon after, jack noticed several credit card chargebacks. The chargebacks all seemed to be for various reasons. One customer claimed they never received their delivery so they disputed the transaction with their credit card company. Another customer said the flowers were delivered but in rough shape by the time they got to her and still another disputed the charge because the flowers were not what they ordered. The sad part is that all these claims were frivolous. Jack had a reputation of having high quality floral arrangements as well as a trusted courier for his deliveries. Jack was a victim of customers who wanted something for nothing. If you find yourself in this situation, there are some things you can do to fight credit card chargebacks. One important step to take is to get a signature for all deliveries made. Be sure the courier is aware of this when he sets out on his deliveries. For customers who claim they never received their delivery, all you need to do is show a copy of the signed delivery receipt. For those who state their delivery was in poor condition upon arrival, showing the part of the receipt stating the customer can receive a refund as long as their return their purchase in a certain amount of time. You don’t have to let dishonest customers take advantage of you. Stand up for your reputation by proving them wrong!